TROY — A man was killed and a Troy police officer wounded in a gun battle involving police, a sheriff’s deputy and a shooting suspect on Monroe Street Sunday morning. Franklin Jones III, 30, was killed in a shootout with Troy police on West Franklin Street. Troy Sgt. Jeff Kunkleman was shot in the leg during the exchange of gunfire. He was taken to Miami Valley Hospital and is recovering from the injury at home. Jones allegedly shot Sammy Butler, 24, who was found in an alley between West Franklin and Monroe streets suffering from two gunshot wounds to his buttocks. The initial shooting stemmed from a domestic dispute according to police. Tonya Conn-Baker was in the area and watched the shooting unfold around 2 a.m. She estimated hearing at least 30 rounds fired. The grand jury met Friday to hear the results of an investigation by the state Bureau of Criminal Investigation into the death of Jones. He was killed after police were called to a report of shots fired in the area of West Franklin and Monroe streets early Dec. 29. The grand jury findings were disclosed Wednesday, Feb. 19. TROY, Ohio (WDTN) – A Miami County grand jury cleared four Troy police officers involved in a shooting incident. 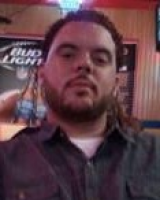 Troy police confirm to 2 NEWS that the officers were cleared in the shooting death of Franklin Jones, III. Jones was shot in December 2013. Police were looking for him following an earlier shooting they believe he committed. Officers confronted Jones on Monroe Street and shots were exchanged. One of four officers was hit. Jones was killed. This entry was posted in Dead, Man, Multiple Shooting, Ohio, Shot by Police on December 29, 2013 by usgunviolence.